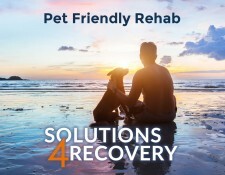 SAN JUAN CAPISTRANO, Calif., September 10, 2018	(Newswire.com) - Solutions 4 Recovery now offers a pet-friendly policy for its Southern California addiction and dual diagnosis rehabilitation programming. Allowing clients to bring their beloved pet to rehab can enhance the treatment experience, as well as reduce anxiety that often accompanies entering a program. According to Jacqueline Malani, Director of Detox for Solutions 4 Recovery, "Working with therapy animals has been shown in many studies to ease stress related to mental illness. Simply petting an animal has been shown to lower blood pressure and slow heart rate, which can help people struggling with chronic illness as well as stress." 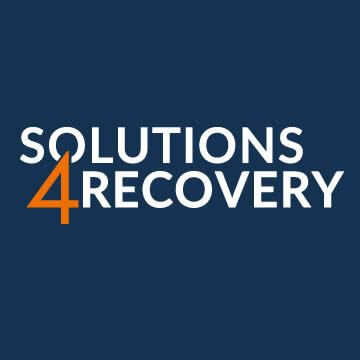 Solutions 4 Recovery features a highly customized program that pulls from assorted evidence-based treatment modalities to offer a highly effective detox and addiction treatment programs for alcoholism, heroin addiction, opiate addiction, prescription drug addiction, and most other substances. Having one's pet along can help clients accomplish various treatment goals, such as restoring physical and emotional health and becoming more responsible and accountable to others (including one's pet). "Animals love unconditionally, but caring for an animal, even outside of the home, can show individuals that they are capable of caring for themselves and others," states Ms. Malani. "Training dogs and grooming horses are common forms of animal-assisted therapy that can build self-esteem." Loneliness, as an emotion that can trigger relapse, can be a difficult hurdle during early recovery. Having one's pet in rehab can help clients cope by providing constant companionship and unconditional love. Solutions 4 Recovery views the pet-friendly option as an amenity that can help prompt someone to enter treatment. Knowing they will have their faithful companion on board for the duration can help overcome one of the most common deterrents to treatment, the thought of leaving their cherished pet behind for an extended period. Having their trusty pet at their side promotes a sense of security and calm, which is the preferred state of mind for maximizing the treatment experience. 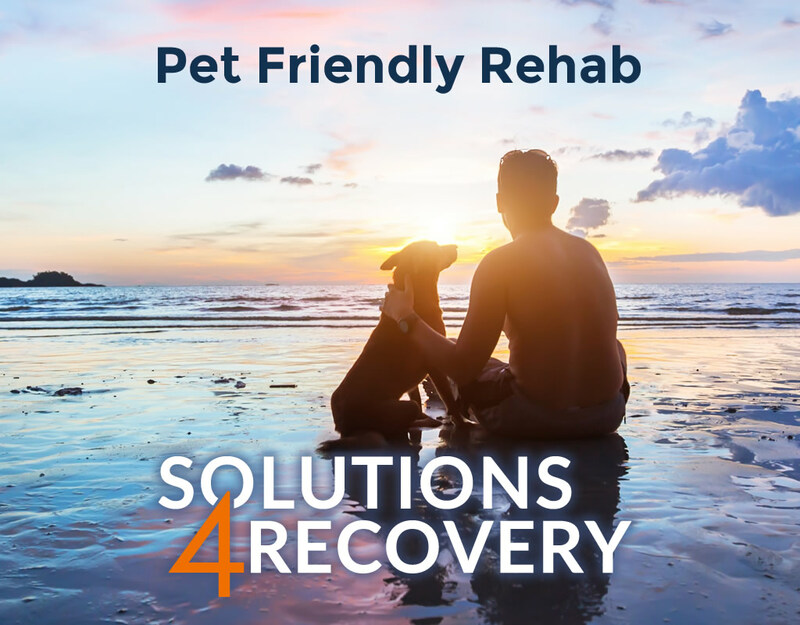 About Solutions 4 Recovery: Solutions 4 Recovery is a pet-friendly drug rehab and alcohol rehabilitation center located in Southern California that offers the highest state-of-the-art addiction treatment interventions available. Expert clinicians and tailored treatment plans enable clients to restore their health while acquiring the tools needed to achieve a joyful and fulfilling life. Solutions For Recovery is an addiction and dual diagnosis treatment program for men and women in California for those struggling with alcoholism, heroin addiction, opiate addiction, prescription drug addiction, and most other substances.